amil Nadu Directorate of Government Examination (DGE) board conducts the 10th (SSLC) and 12th ( Plus two examination or Tamil Nadu+2 HSC) Examinations every year. Tamil Nadu SSLC and Tamil Nadu+2 HSC Exam will be held in the month of March-April. Last year, around 9.5 lakh students had appeared for class 10th exam. 94.5% students, including 96.4% girls and 92.5% boys, had passed in 10th. Sivagangai district had got the highest pass percentage of 98.5%. And in Tamil Nadu 12th class exam, around 9 lakhs students appeared in it. The overall pass percentage in HSC exam was 91.1 per cent. The girls had outperformed boys by registering 94.1 per cent while boys had scored 87.7 per cent. A total of 6754 schools had scored 100 per cent results with Virudhnagar tops among districts securing 97 per cent. Erode was at second place with 96.3 per cent. 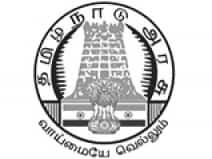 In 2019 Tamil Nadu DGE will declare the 10th and 12th exam result in the month of May. Students can check the results of the Tamil Nadu 10th and 12th examination on www.livehindustan.com. Apart from this, the results can be checked on the official website of the Board.